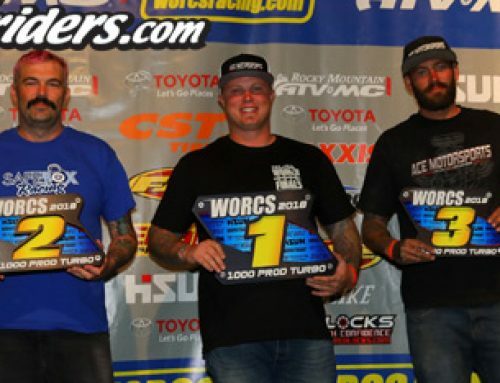 Taft, CA – Maxxis’ David Haagsma drove his naturally aspirated SXS to his first WORCS Pro SXS victory of the season at Honolulu Hills Raceway to take over the points lead. STV Motorsport’s Nic Granlund finished second, ahead of BDR Motorsport’s Larry Heidler. Ryan Hilt and Corbin Wells rounded out the top five. After the track flooded on Friday, due to torrential downpours from Winter Storm Lucifer, competitors expected a mud fest. Instead, with WORCS officials working overtime on the track, the event turned out to be one of the fastest this season. Several of the top competitors running turbocharged cars fell out early in the event with issues, leaving Haagsma to take the dominate win. The initial start was waved off due to an issue with course markings. On the restart, Haagsma moved quickly into second and he took the lead shortly thereafter when Ryan Piplic’s car fell out with mechanical issues. From there, he ran a flawless race taking the win, as well as the points lead. The reliability of his car shined here. In fact, out of the top five in points coming into this race only two finished the race in the top ten. STV Motorsports’ Nic Granlund entered his Yamaha in the Pro race, so he could get some extra practice in for the Pro Stock SXS event. He outlasted and late-braked several other drivers in the corners to net the runner up slot. BDR Motorspots’ Larry Heidler was also driving a non-turbo car as well. 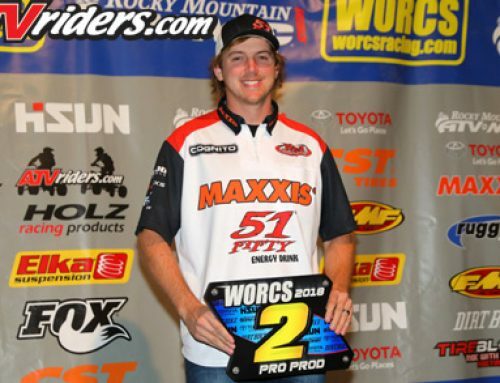 Like the Haagsma and Granlund, he outlasted the competition and drove it home third, earning his first career WORCS Pro podium finish. 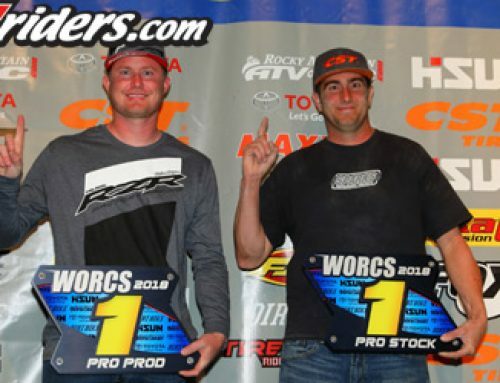 In Pro Stock, HOLZ Racing’s Beau Baron netted his second victory of the weekend after winning the Pro ATV race. He snagged the holeshot and ran first for the entire race in his Polaris RZR, holding off the similar car of Ray Bulloch. Granlund finished third, recording his second podium of the weekend, ahead of the RZRs of Cody Bradbury and Matthew Hancock. Maxxis’ Ray Bulloch ran nose to tail with Baron for most of the race. Though he was able to catch Baron, he was unable to make that crucial move for the lead. He credited Baron with running a flawless race. 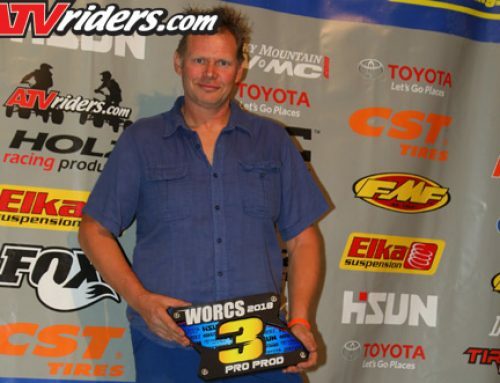 GBC Motorsports’ Nic Granlund ran the same Yamaha he raced in the Pro SXS event. He said he simply hosed it off and raced it. In the Pro Women’s race, Sparks Racing’s Jennifer Broughton scored her first victory of the season. Emily Green and Giuliana Flowers completed the top three. All three were driving Polaris RZRs. Broughton said tuning and testing after the last race made the difference for her. 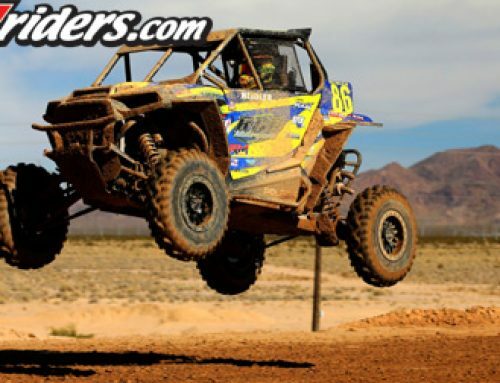 The WORCS SXS racers next head to the brutal and exciting track in Lake Havasu City, AZ. That race is scheduled for March 17-19.